BEING A TEXT OF THE PRESS CONFERENCE ON THE STATE OF THE NATION ORGANISED BY ULAMAU FORUM OF CONFERENCE OF ISLAMIC ORGANISATIONS (CIO) HELD AT THE BALGUDA KALTHO PRESS CENTRE, ALAUSA SECRETARIAT, IKEJA, LAGOS ON YAOMUL ITHNAIN, 18TH RAJAB, 1440AH (MONDAY, MARCH 25, 2019). Gentlemen of the press, I welcome you to this press conference on the state of the nation and killings of Muslims in New Zealand and other European countries. The Conference of Islamic Organisations is an umbrella body for various Islamic organisations in Nigeria. 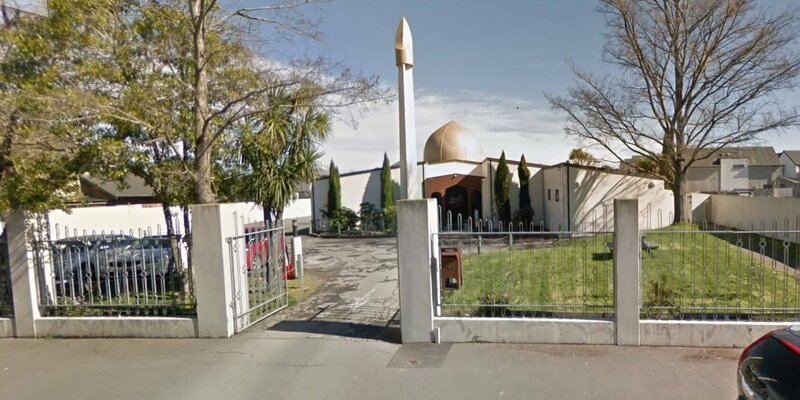 Terror attacks hit Mosques at New Zealand’s Christchurch recently, killing no fewer than 50 Muslims and injuring 50 others. In the aftermath of the terror attacks, Prime Minister Jacinda Ardern, changed the gun law in the country, but also received death threats through a Twitter post containing a photo of a gun and caption “You are next’’ was sent to the prime minister. According to reports, the suspended account contained anti-Islamic contents and white supremacist hate speeches. We state categorically that this is an extreme terrorist attack taken too far. Islam is a religion of peace. We frown seriously on why the lives of the peaceful Muslims are rendered so cheaply. It is not as if they have committed any offence except that they believe in Allah and practise their religion. We condemn this inhuman and animalistic action and an extreme hatred to Muslims and Islam. This is an extreme hatred for Muslims and Islam. If anyone slew a person – unless it be for murder or for spreading mischief in the land – it would be as if he slew the whole people: and if anyone saved a life, it would be as if he saved the life of the whole people. Then although there came to them. Our messengers with clear signs, yet, even after that, many of them continued to commit excesses in the land. If the Muslims are being attacked mainly because they are worshipping their creator and by defending their right and are being wrongly tagged as terrorists, in the spirit of fair play and equal justice, anyone that perpetrated a dastardly act against humanity must also be referred to as one; most especially when they are non-Muslims of other faiths. We call on the UN to protect the lives of Muslims in the world, particularly Muslims in Europe, and areas affected by this, like New Zealand, Australia and other parts of Europe because of Islamophobia. Gentlemen of the press, we have also observed that the UN and other world powers showed less concern for the killings. The silence of the Christian Association of Nigeria (CAN) is also worrisome. CAN’s nonchalant attitude to making a statement on an event of such magnitude shows intolerance. This is unacceptable to us Muslims. We support the New Zealand Government to provide more security in places of worship for Muslims and non-Muslims. We also condemn the bad act and appeal that the perpetrator should be unfailingly brought to book. The New Zealand government, Prime Minister Ardern sensitivity and firm stand against the incident is highly appreciated. This is an example of ultimate tolerance and cohabiting instance that should be shown by all World leaders. 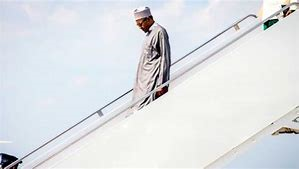 We equally salute the courage of President Muhammadu Buhari for being among the early world leaders to condemn the obnoxious act. 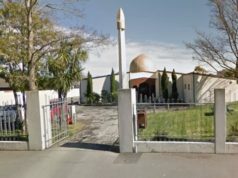 Nigeria should emulate the provision of security at places of worship as currently seen in New Zealand Mosque attack. We urge the Nigerian Army to intensify efforts in combating terrorism in the country. The action of the Boko Haram sect is totally against Islam. On the past election, many have expressed different views. While the election was adjudged as being peaceful by many, others say it is not. For us, we want all politicians to know that it is only Allah that makes one a winner. Sometimes, defeat can be a blessing in disguise. We congratulate the winners and appeal to the victorious losers. Indeed, this is another trial from Allah. They should remember that they will give an account both on earth and in the hereafter. Nigerians have put a lot of responsibilities on them (winners). They cannot afford to fail or make people regret voting their parties. They must work tirelessly as a team to deliver and make sure people enjoy the effects of governance and dividends of democracy. Also, they must reciprocate the gesture with more life-touching projects. Specifically, we congratulate President Muhammadu Buhari and his Vice, Prof. Yemi Osinbajo; and Mr. Babajide Olusola Sanwoolu together with Dr. Kadiri Obafemi Hamzat. They should see this as another opportunity to consolidate their efforts in the fight against corruption. Sanwoolu and Hamzat should see their victory as a call to service and not a right. It is a privilege that must be well utilised. We encourage that those that lost should have a large heart and give up on litigation. It is only Allah that enthrones and dethrones. For the benefit of all, the losers should kindly accept defeat in good faith and enjoin peace. They should shun comments and utterances capable of leading to violence, riot or hate. The blood of any Nigeria is not worth their emergence. Politics should not be a reason to cause crisis or hatred among kinsmen or faithful of the same, and even different religion. Politicians should eschew violence. They should not use politics to divide us on the basis of religion and ethnicity. Also, political parties should show ethics and be decent in their reactions. It is not fair that the same parties that praise INEC in one state would abuse INEC in others. We commend the Lagos State Government for maintaining peaceful co-existence. Despite the political differences, all ethnic nationalities should reciprocate by maintaining peace. We urge the President and Governors to be conscious of appointments so that all agitations will be represented. It will not be fair that a particular state or region is given preference over others so as to repose the confidence of all and sundry. It is no longer news that two buildings collapsed in Lagos State and Ibadan recently. While the death toll in that of Lagos is about 30 with many securing injuries, those trapped in the Ibadan building collapse were rescued, but severely injured. Gentlemen of the press, we also sympathise with the families affected in the collapsed building and pray that Allah grant them the fortitude to bear the loss. We call on the government at all levels to be strict with the compliance of builders with necessary laws. We are deeply pained and pray that such would not occur again. As patriotic citizens, we must work together for our safety. The gross disobedience to government laws and order ends up to affect us. However, the government must take full responsibilities for her failure. The government must provide essential infrastructures to enhance the decongestion of over-populated areas. On hate speech, it is quite disheartening to find out that those who are to protect hate speech are the culprits in hate speech and the consequences of hate speech are unimaginable. We bring to the notice of all a certain Comrade Chidi, who called for the same terrorist act that occurred in New Zealand to be replicated in the Abuja Central Mosque, Nigeria. Chidi, a Christian by faith and of Nigerian origin should be arrested by law enforcement agents in other not to heat up the polity unnecessarily; and that will serve as a deterrent to others who want to follow his footstep. In conclusion, we appeal to Nigerians to shun all acts and speech that can divide us along, tribal and religious lines. We should all continuously promote unity, tolerance and religious harmony.